Yesterday the bulls reached the level of 78.6% and right now the price is trying to rebounds from it. If Euro breaks the latest minimums near the level of 1.2950, the price will start a new descending movement. 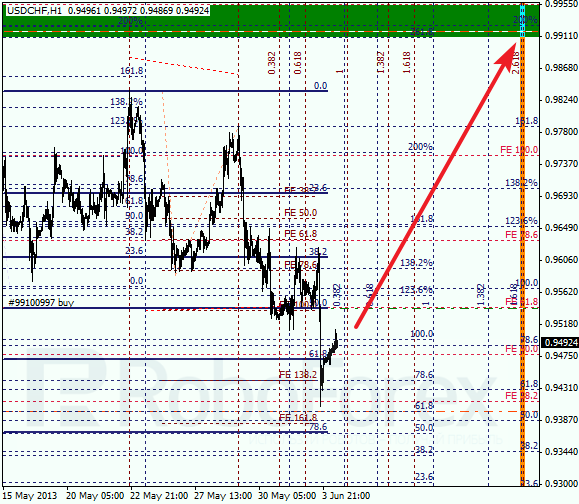 We may assume that a strong ascending movement towards the level of 78.6% made by the bulls may be their last one. According to the analysis of the temporary fibo-zones, the target area may be reached in the beginning of the next week. However, if the market breaks the level of 78.6%, the bulls may continue pushing the price upwards to reach the target at 1.33. 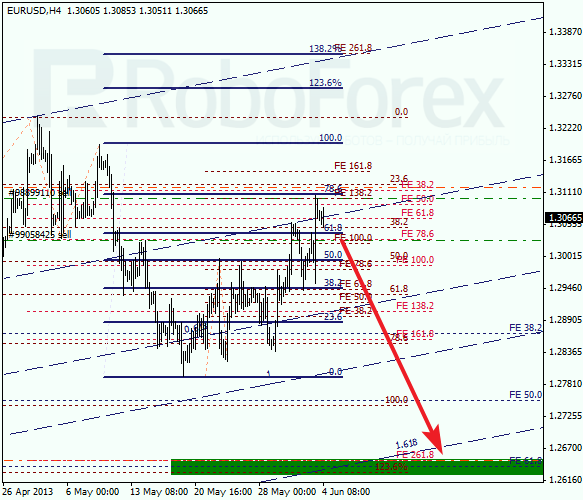 Yesterday Franc tried to break the level of 61.8%, but failed, and right now it is again moving above it. If the price is able to break the latest local minimum, the pair will start a new ascending movement. The pair is trying to rebound from the level of 61.8%. 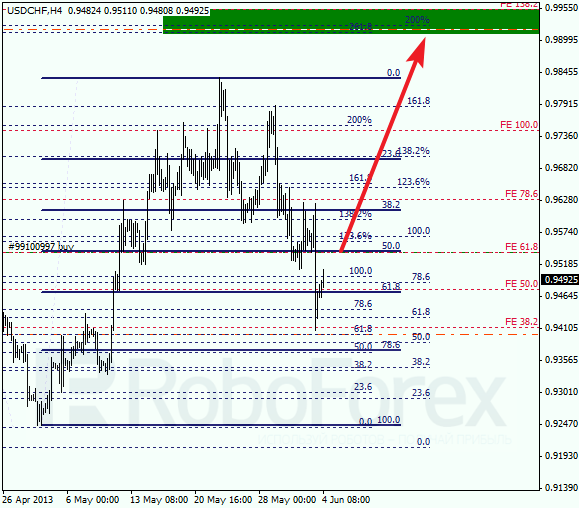 According to the analysis of the temporary fibo-zones, the price may reach predicted targets by next Monday. At the same time we should note, that if the market continue falling down, the bulls will become weaker.